#TechTuesday highlights the best and brightest ideas in the tech world. ABCey would like to recognize these up and coming technologies for their innovative ideas and impact on the event world! In today’s #TechTuesday, we present to you Social Tables, an awesome event planning software! Social Tables is event planning software that streamlines the floor plan and guest list creating process. We love Social Tables because of all its customizable features as well as their dedication to helping users maximize the software. It is cloud based so you can access your diagrams from anywhere and those shared on the event can get up to date changes as they are being made. Social Tables provides a customer success planner which helps you with any problems you might be having with the software. They can also coordinate with venues to get a floor plan if the software does not currently have it. We love that all these features truly let users personalize events to their needs and create very accurate representations of their upcoming event! An awesome feature on Social Tables is their floor plan creator. You can take floor plans from the actual venue site and pull furniture etc. from the menu bar to create a realistic depiction of the floor plan. That floor plan can also come to life in a 3D rendering. Once you add tables to your layout, Social Tables also gives you the opportunity to create a seating chart. If you tend to work with a specific furniture company your customer success planner can also coordinate with the company to upload their furniture to the floor plan creator. If you choose to share the floor plan with vendors you can give them a handy equipment list. Social Tables also allows you to upload a guest list. You can use that guest list to seat people around tables on the floor plan. Additionally, you’re able to tag guests as “VIPs” or group certain guests together that you know should sit together. This guest list also proves helpful the day of the event. Using an iPad, you can check in guests as doors. If there are multiple entrances the guest list will automatically be updated to all tablets so you can see if guests have checked at any other entrances. If you have any VIP members you can receive texting notifications when they check in as well. Have you tried Social Tables? Let us know in the comments below or on Facebook and Twitter! Startup Monday is ABCey’s weekly post that features some of the best and brightest companies in the Bay Area. They are often companies that we have our eye on, or have worked with in the past & would like to share with friends and followers of ABCey Events! Today’s Startup Monday highlights Le Tote, a customized fashion subscription that sends a box of clothing and accessories to your doorstep! 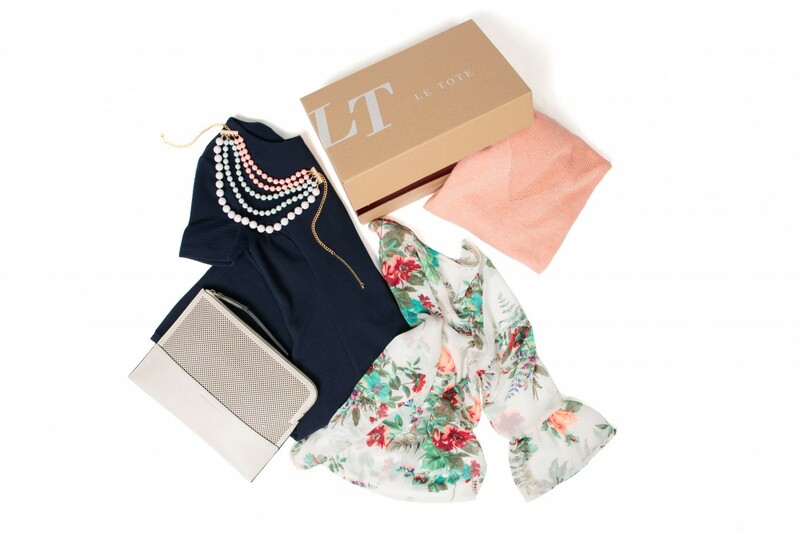 Le Tote is a fashion rental service that creates and ships customized outfits for you to wear! They offer clothing from over 150 brands that are for classic or maternity looks. Some memberships also include jewelry to pair with the outfits selected. It is a great way to get awesome and affordable stylized looks that are personalized to your preferences! You sign up online and take a style quiz so Le Tote can get to know what pants, shirts and dresses you typically wear. They also ask what type of outfits you’re looking for and how often you want to receive a box with weekend, business and date night outfits as well as asking for your location to check the weather in your area! They take into account a lot of different factors to really customize a box to fit you and your style! Le Tote will then compile a box they think you will like but they also give you the option to swap out items incase you don’t. Once you receive your box you can wear anything as much as you want. When you’re done with the box you can send it back (no shipping fees) and Le Tote will send you a new box! If you do end up growing attached to an item you also have the option to buy it for a lower cost. Le Tote does the shopping for you and allows you to rock super cute outfits. Will you be using Le Tote? Let us know in the comments below or on Facebook and Twitter! It’s Thursday, and you know what that means…ABCey Events has the Weekend Lineup with a list of the top Bay Area Weekend events! Don’t miss out on these fun events going on Friday til’ Sunday! It is Cirque du Soleil’s last weekend in SF! Grab your tickets and enjoy this magical and entertaining show one last time before they leave town! Get in a great free weekend workout with Fitbit‘s local free workout! Led by local fitness trainers this yoga flow class will also include healthy snacks, giveaways and music! The Halal Guys are finally making their way to San Francisco! This New York City staple is hosting a grand opening for their SF location that includes giveaways: t-shirts, tote bags, push pins, fries, baklava and drinks! Head over and experience the amazingness that is their gyro platter! Interested in supporting a Burning Man staple? Icebreakers Ball will be fundraising for Janky Barge! Get ready to dance all night long and make sure you wear your brightest whites! Held the last Friday of every month, outdoor movie night at Pier 39 is featuring Escape from Alcatraz this Friday! Grab some friends, a blanket and popcorn and have a great night! A little party never killed nobody! Party like Gatsby for a night at the Grand Nightclub. Wear your best 20s outfit and get ready for dancing, photo booths and DJs! Attention all 90s kids! Get ready for a #throwbackthursday! Temple’s DOPE 90s house party is back! Enjoy the best music of the 90s and get an early start to your weekend! Looking for a fun weekend getaway filled with music, art, friends, and hopefully sunshine? Not sure which festival to go to this year? ABCey Events has created a list of the Top 10 festivals coming your way in 2017! Info: One of the most well known annual festivals held, Coachella will not disappoint with Queen Bey headlining both weekends! Tickets are very hard to come by, make sure to look at sites like stub hub! Info: Put on by The Do LaB, Lightning in a Bottle aims to promote sustainability, social cohesion, personal health and creative expression. It is also very kid friendly! Info: A different kind of Napa Valley getaway! Combines the amazing wines and brews of Napa with a music festival – you can’t go wrong with this festival! Info: This is a smaller more exclusive version of Burning Man that includes incredible music, visionary speakers, inspirational art and human connection. Info: What the Festival has classic festival vibes with great electronic and live music while upping the game by adding massive pools for attendees to hang out in! Info: Bonnaroo is often called the best festival of the summer. The four day long festival aims to support recycling and sustainability. You can show off your girl scout knowledge when you attend this ultimate camping and festival combination. Bonnaroo also boasts family friendly camp grounds and welcomes festival goers of all ages. Info: Music can range from EDM to heavy metal and alternative rock. Aside from featuring over 170+ bands, Lollapalooza also hosts non profit and political groups for you to check out. Food offered at the event is all from local Chicago restaurants. Info: Looking to travel to a different country? Shambhala is the festival for you! Located in British Columbia, Canada this festival is celebrating twenty years old this August! With four days filled of enchanting electronic music this experience festival will be one for the books! Info: The OG music festival. This is the ultimate transformational festival that is much less centered on the music and featured artists and more on the overall experience. During the festival Black Rock City, a temporary community is created for just the span of the festival. Burning Man doesn’t even book acts basing the festival entirely the people to attend to make their own art and share it with everyone else. Info: This festival is inspired by the PBS concert series that also bares the same name. Produced by the same people that make Lollapalooza, ACL has now branched out to have two full weekends of great music, food and people! Which festivals do you plan on attending? Let us know in the comments below or on Facebook and Twitter! Startup Monday is ABCey’s weekly post that features some of the best and brightest companies in the Bay Area. They are often companies that we have our eye on, or have worked with in the past & would like to share with friends and followers of ABCey Events! Today’s Startup Monday highlights Winnie, a great app for parents to use to find places to go for them and their kids! Nominated for “Hot New Startup” at this years upcoming TechCrunch Crunchies Awards, Winnie is helping parents across the US, as being a parent can be a lot of work. Finding places for you and your kids to go can be an added difficulty. With the help of Winnie, parents can make weekend plans a lot easier! Winnie allows parents to find the nearest changing table or best place for nursing. It also addresses those looking to go out to eat with kids. Users can select filters such as: places with highchairs, kids eat free, and kids menus to make choosing a restaurant easy. No need to scroll through reviews for relevant information. The stories portion of the app gives parents the opportunity to review places they have been while addressing the needs of parents. You can also post pictures of kids having a great time while putting cute stickers over their faces for privacy! Traveling with kids can be a huge source of stress. The app lets users jump to other locations, making finding things to do on your vacation a lot easier. Parents can avoid worrying and focus on enjoying exploring a new place with their kids! Click here to download the Winnie app. Will you be using Winnie? Let us know in the comments below or on Facebook and Twitter! Friday is here and the weekend is near! ABCey Events has our Weekend Lineup with the top 5 Bay Area and SF events that you don’t want to miss! Who doesn’t love yummy food and good prices? SF Restaurant Week kicks off tomorrow! Restaurant week celebrates the five star San Francisco dining community. 130 restaurants offer special multi-course pre fixed lunch and dinner menus where you can have a world class dining experience on a budget. Return to one of your favorite places or explore somewhere new! Following the Women’s March happening earlier in the day in SF and Oakland go party alongside some amazing women while also helping out great causes! All donations go to Planned Parenthood and the SF Women’s Community Clinic. Come out and support ladies all around the USA while dancing in the company of Rachel Torro, Laura Lisbona, Sharon Buck, Brass Tax’s Haute Mess. The Edwardian Ball is an fantastic celebration of art, music, theater, fashion, technology, circus and the creations of author and illustrator Edward Gorey. This is a multimedia extravaganza that grew from an underground club party to a world wide know event! Definitely worth checking out! Looking for a cool yoga experience? Deep House yoga combines house music and power flow yoga in a club environment to make an exercise experience you won’t forget! Get away from the typical yoga studio this weekend and decompress under blacklights while listening to a DJ. Looking for some exercise with the chance of spotting some cute sea lions? Pier 39 is celebrating its 39th year by hosting fun events throughout the coming year! This weekend the pier is celebrating the 27th anniversary of the sea lions’ arrival to Pier 39 with free Sea Lion Encounter walking tours! 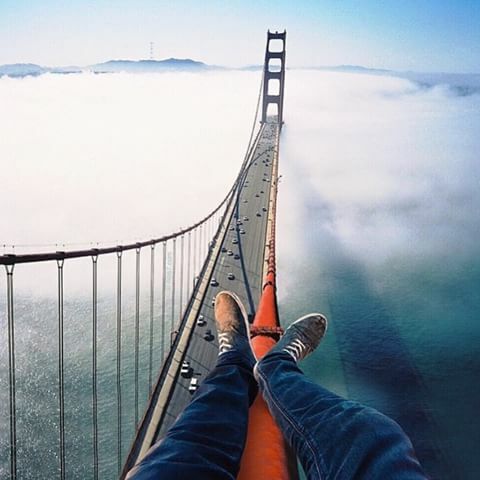 Will you be attending any of these Bay Area/SF events? What other SF events are you excited about this weeeknd? Let us know in the comments below or on Facebook and Twitter! 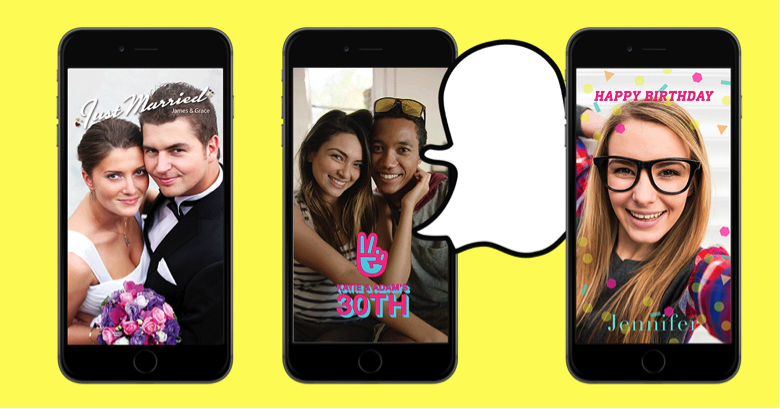 As Snapchat continues to be a dominant avenue for social media, it is a great tool to use for event promotion. As you may know, Snapchat has an awesome feature that allows you to create your own snapchat filter for an event, On-Demand Geofilter. This allows anyone at the location of your event to use the filter during a designated time frame. At ABCey, we like to keep you up to date on all the latest social marketing tactics. So, here is a simple step by step on how to create your own filter! ** Note: to create an On-Demand Geofilter you must have a Snapchat account. Once at the website, create a design using custom dimensions 1080px x 1920px. After setting the dimensions, start designing! Keep in mind you want to leave room for people’s faces – so try to stick to customizing the top, bottom, and frame of the space. After you finish designing your cool new filter, click the download button and download the file as a PNG. Download the computer application GIMP. First, open your new filter by going to File → Open → Select Filter PNG. After, go to Select → By Color and click the white portion of your filter. Proceed by going to Colors → Color to Alpha. Finally, go to File → Overwrite nameofyourfilter.png. Login to Snapchat.com and follow the steps on their website to upload your filter, select the location and time you want your filter to be active. Do you plan on using a custom Snapchat filter for your events? Let us know in the comments below and on Facebook or Twitter!